Nipsey Hussle’s Father Says He “Was Sent by God to Bring Us Together” – ..:::Welcome to Ballerz Mixtape:::..
As the days pass and the culture continues to be at a standstill due to the passing of Nipsey Hussle, his legacy has been appropriately honored by his millions of fans around the world as well as the people that knew him best. 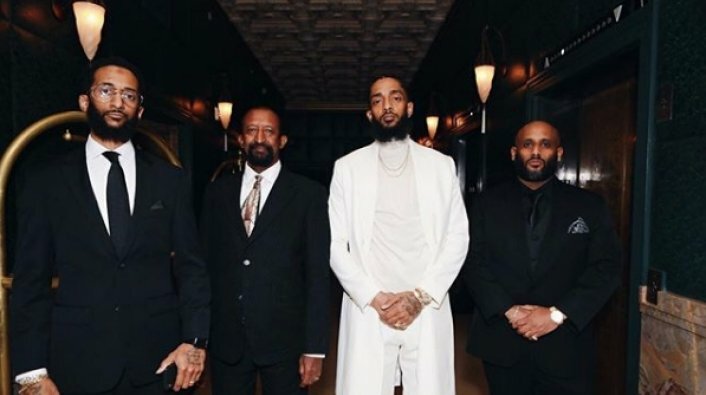 Since the fatal shooting, his family has taken comfort in one another by sharing memories inside Nipsey’s grandmother’s home in Los Angeles, where they recently spoke to the Los Angeles Times to add their own perspectives on the legacy that he left behind. Nipsey’s mother then concluded her thoughts by stating that “I would like for him to be remembered as a humble, spirited, respectful man who had, since his childhood, had an extraordinary and unlimited intellectual capacity,” in addition to noting that she’s comforted in knowing the impact he made on his community. Additionally, his girlfriend Lauren London described him as a “truth seeker and truth speaker” who was a family man first, as his brother Sam spoke to how he turned the run-down corner of Crenshaw and Slauson into a national landmark.